1/212 Great Eastern Highway Midland. We are delighted to announce the opening of our 7th Build It Yourself Electronics Centre on December 9th 2017! 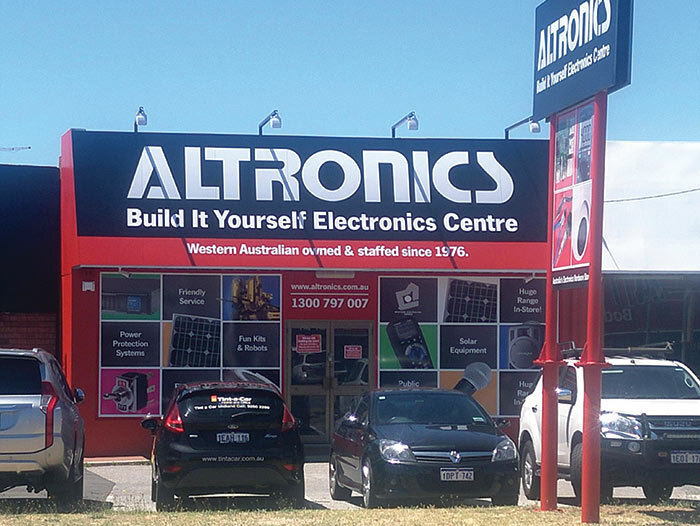 The new store will be conveniently located at 1/212 Great Eastern Highway Midland. Just 20 minutes out of central Perth, this new store will provide residents of Midland, the hills and surrounds with a convenient shopping destination for all things electronic! Construction and fit out is due to begin very soon we plan to open for trade on December 9th. To stay up to date on our opening of the new Altronics Midland electronics store and other news, subscribe to our enewsletter.